I am currently on my fourth trip paid uniquely with American Express card points thanks to a partnership with Zuji. 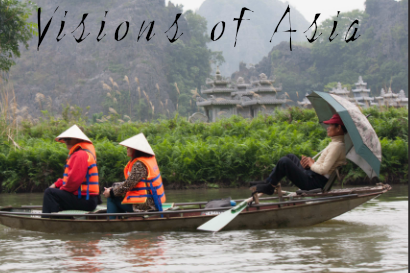 Basically, you could book trips to various locations around the world for 30,000 Amex points (+ taxes!). My previous trips were to Kaohsiung and to Korea. This time, it is a trip to Barcelona (of which you can already have some idea on my instagram feed). The interesting part (or not so interesting!) is that you are obliged to travel with the airline they select, in this case Turkish Airlines. It was my first time flying with this airline. 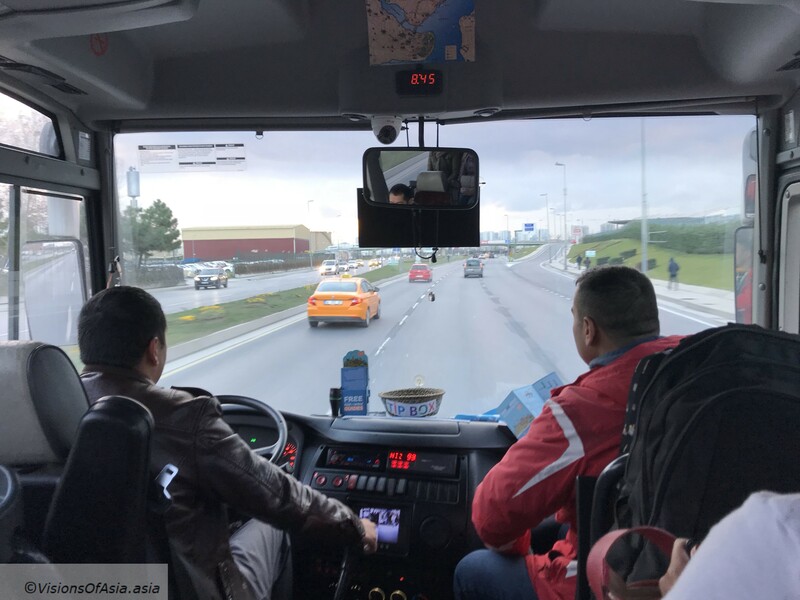 The best part is probably the fact that Turkish Airlines offers you a free layover tour of Istanbul, provided you have at least six hours on your layover. As usual with flights from Hong Kong to Europe, the TK flight departed at 23.15. The plane was quite packed, but although climbing onboard was a bit chaotic, the remainder of the flight and arrival was quite peaceful, with passengers being courteous enough to unload and give me my camera bag from two rows away. 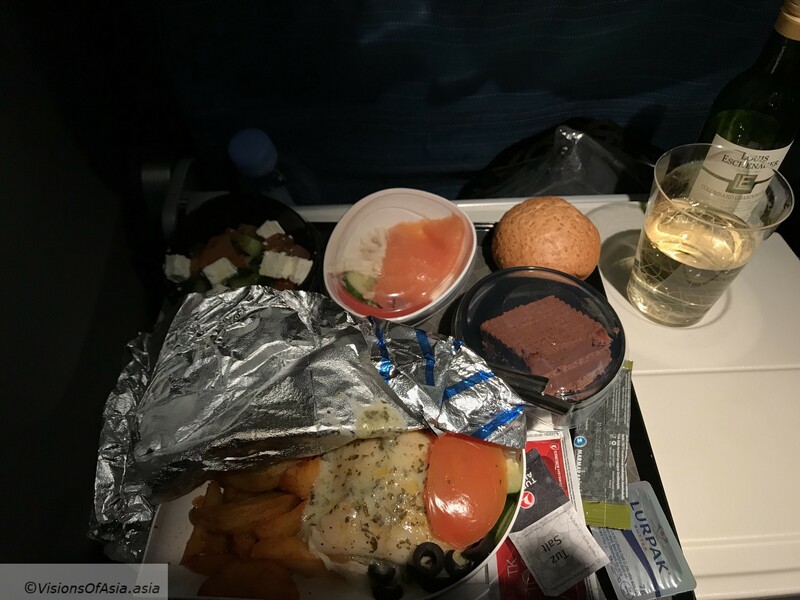 Food on board was pretty good even in economy. The choices of food were limited to fish, as by the time they served our row, they ran out of chicken, but that was my first choice. Sorry if the picture above does not do justice to the meal, but I had a very cramped space to operate. Sleeping on economy class for 10 hours is an ordeal instead. Last time I had to do an intercontinental flight was in business class, so quite a difference this time. I woke up sore, but still rested. In the morning, breakfast was as good as the evening dinner. For a first visit to Istanbul, the airport was infuriating as could be. It was easy enough for us to find the lounge. Thanks to our Priority Pass card, we managed to get into the Prime Lounge, after passing through security. The lounge itself had showers of which we took advantage after the long night sleeping. However, you had to wait for the staff to have cleaned first the toilets then the showers… Anyway, the shower was a welcome relaxation. 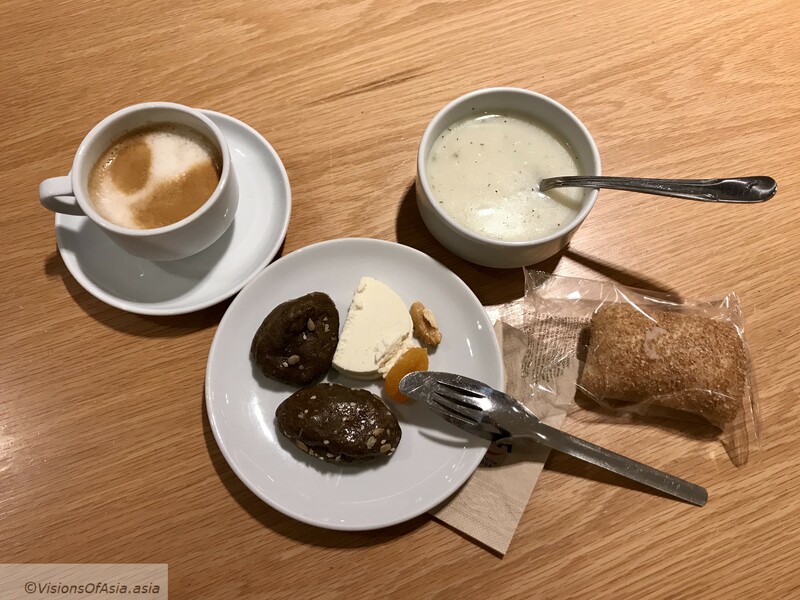 The food at the lounge was mainly Turkish-oriented, so it was the occasion for me to experience some “Turkish delights”. After our meal and our refreshment, we took off to find the tour, and that’s where the airport gets properly infuriating. There is no clear sign on how to get out of the airport. If you ask staff, they just don’t answer you and tell you to go to the information desk. Eventually, we got some succinct information on how to get out and managed to find our way out of the airport after clearing immigration. Obviously, once outside, signs are again lacking, and there is a wealth of tour agencies around, so I suspect many tourists might get snared by the tour agents when searching for the TK tour. Actually, you must turn right and walk all the way to the TK tour counter. TK also offers free hotel in Istanbul if your layover is long enough to warrant it. Anyway, when we got to the counter, we originally were refused by the lady at the counter… Then nevertheless added to the 8.30 tour by the supervisor. The tour lasts from 8.30 (Turkish time, so that means 8.45) to 11 (surprisingly they are punctual with that part). As our flight to Barcelona departed at 12.35, that meant we could do the tour and not be stressed. 8.45 and we are en route for Istanbul! 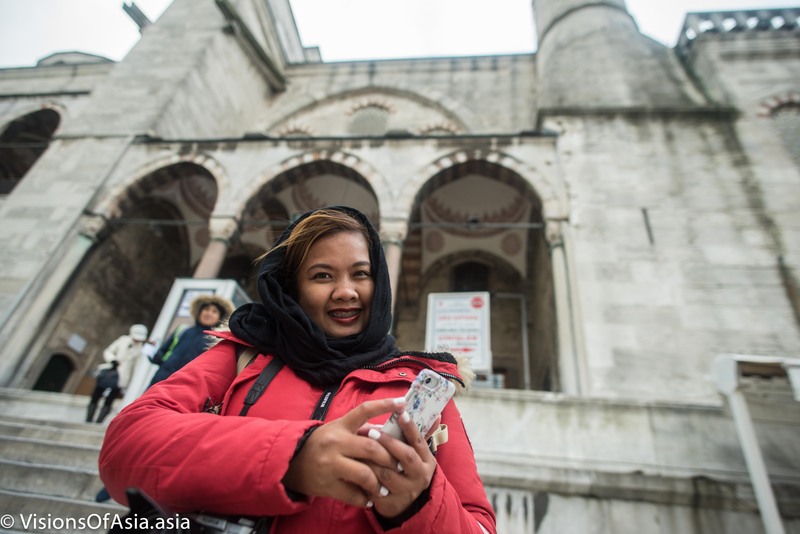 The layover tour focuses on the old city of Istanbul (by far the most interesting). 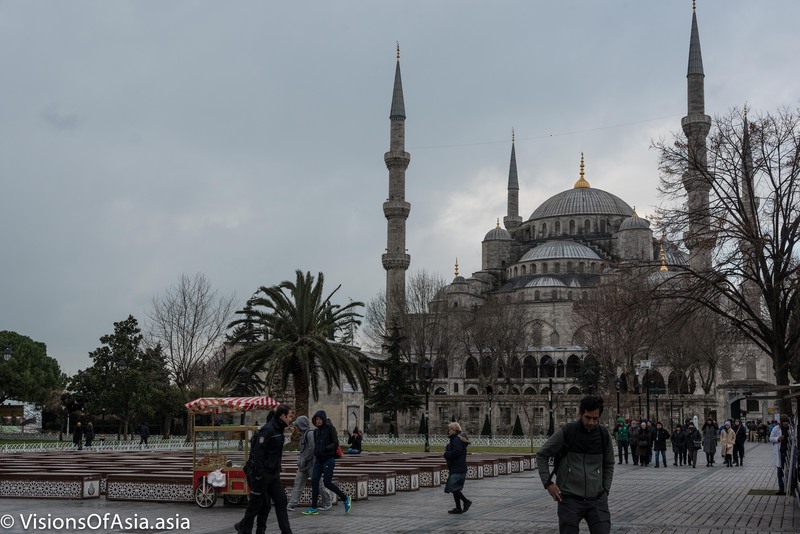 It also helps that the major attractions such as the “Blue Mosque”, also called “Sultan Ahmet mosque” and Saint Sophia (“Hagia Sophia”) are both within a short walking distance of each other. On the way from the airport, there are several sunrise spots (and we saw some “angel lights”, but the bus’ windows were too dirty to make anything out of it. The Blue Mosque as seen from outside. 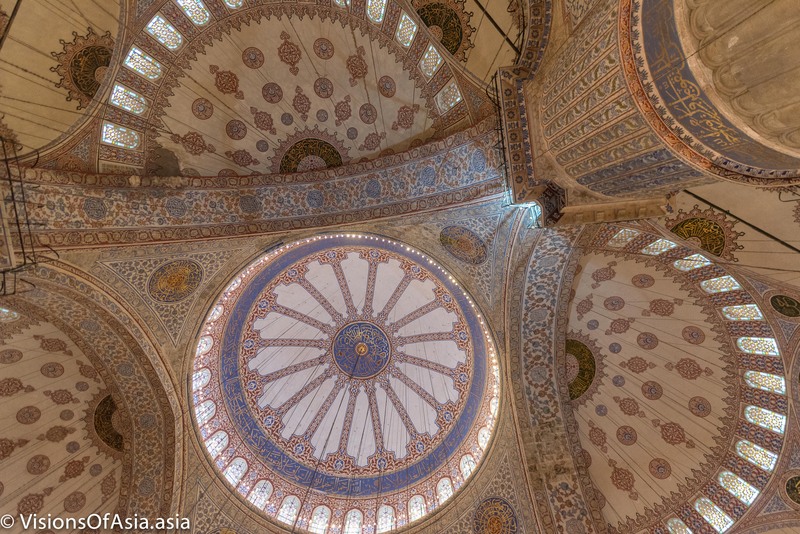 The Blue mosque, inside is even more beautiful than from outside. A lovely marvel of architecture and art. 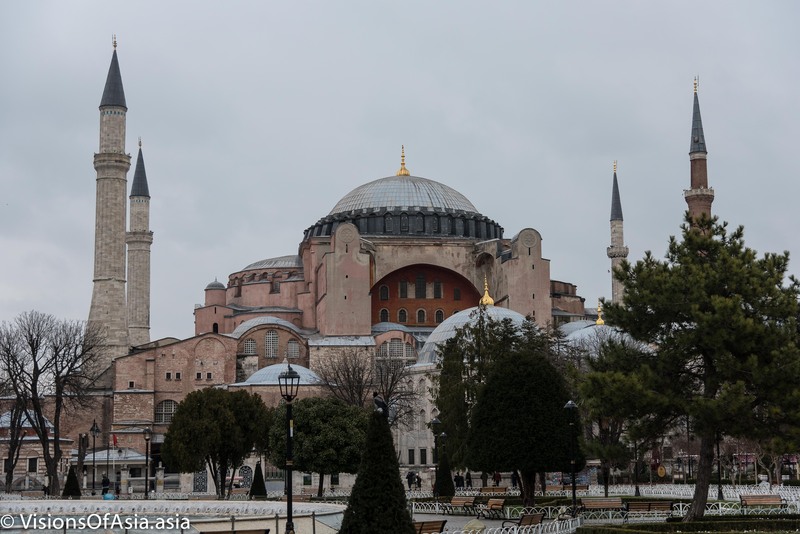 Immediately outside Sultan Ahmet mosque, you come across the famous Saint Sophia. 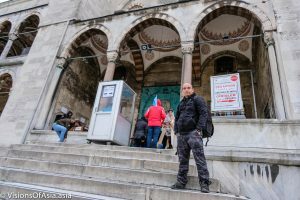 Originally an Orthodox church, it got converted into a mosque by the Turks then finally now is nothing more than a museum. It is sad that the tour being concerned about time, Saint Sophia was not available to be visited. I managed nevertheless to capture a shot. It was then time to go back to the airport, but not before our guide managed to drag us into the bazaar. Although the subject of the tour was mainly to talk about our layover tour in Istanbul, I cannot skip the part of our flight to Barcelona. 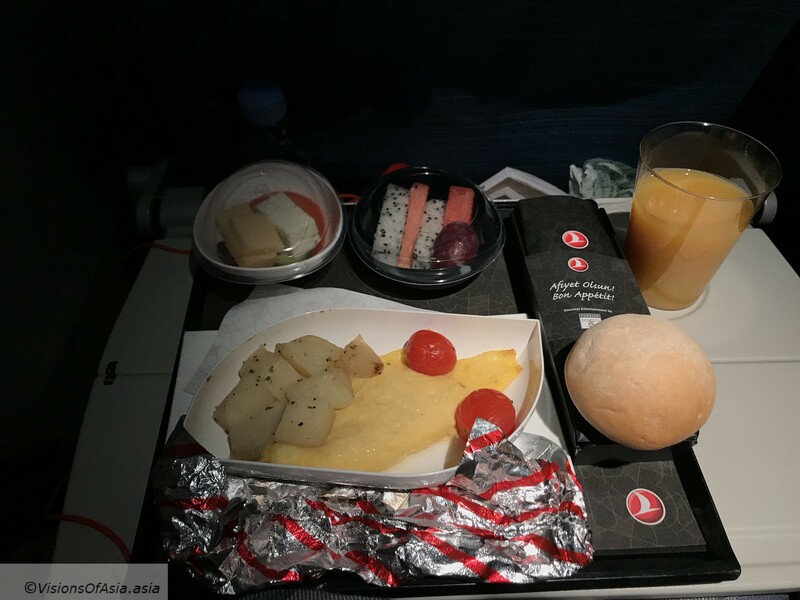 Mainly because Turkish airlines provided us with… a chef on board! 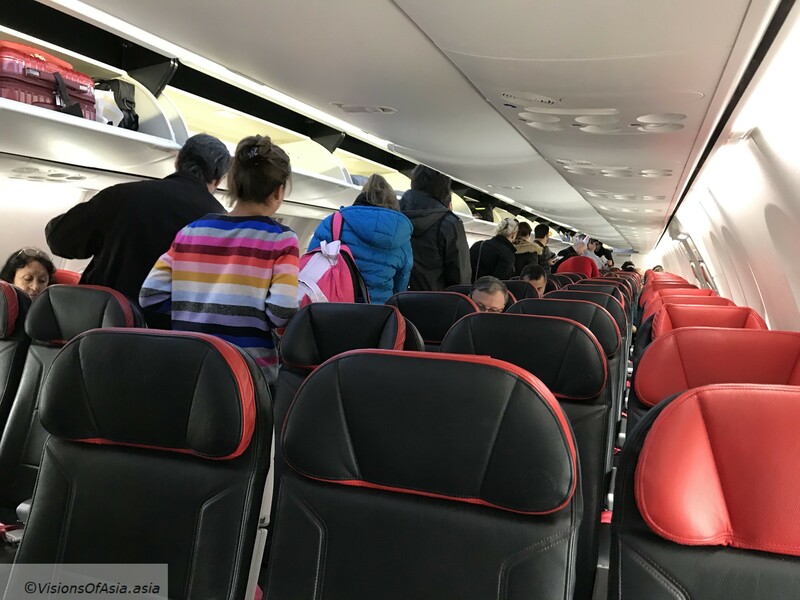 We were flying on a Boeing B-737-800, with a new and pretty modern upholstery and entertainment system. 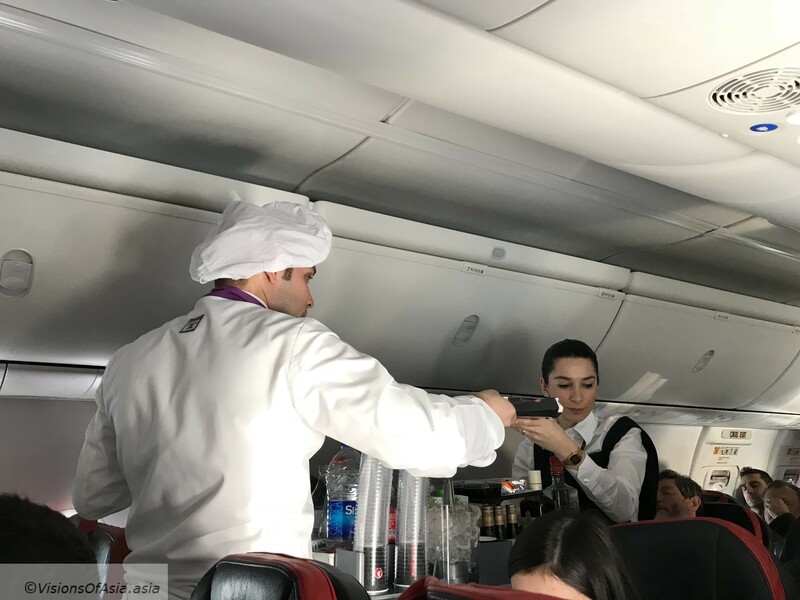 Later on, the service was ensured not only by the flight attendants, but also by the chef himself! A chef in a plane. Finally, while flying above Greece, I shot the lovely perspective of the plane’s wing… one interesting perspective on flying. 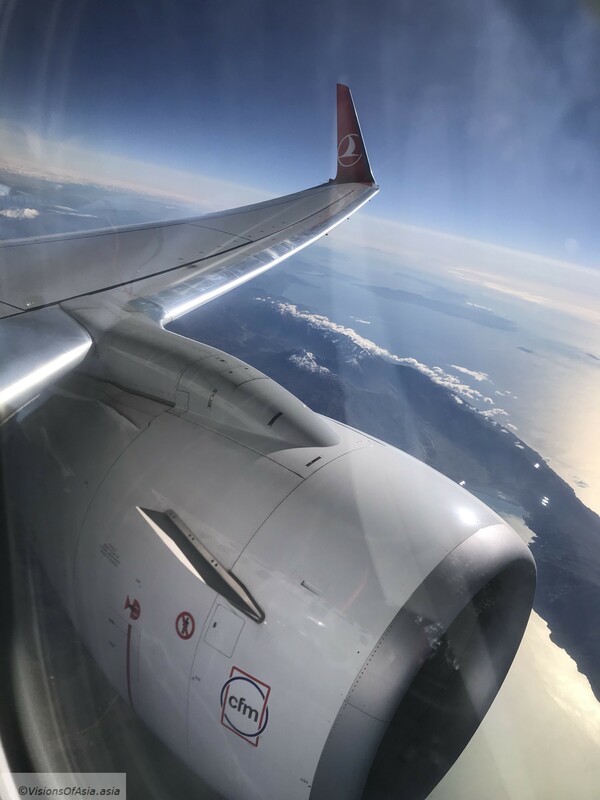 If you are flying Turkish Airlines and your layover is at least 6 hours, then you definitely want to grab the chance for this tour. You can find more about it here.